PLO head of Prisoner's Affairs says PA 'will not succumb' to US, Israeli pressure to stop paying terrorists. Ignoring the international criticism and condemnation of the Palestinian Authority's rewarding terrorist murderers with generous salaries, Director of the PLO Commission of Prisoners' Affairs, Qadri Abu Bakr, has emphasized that these salaries will continue, Palestinian Media Watch reported. The official PA daily Al-Hayat Al-Jadida reported that "Director of [PLO] Commission of Prisoners and Released Prisoners' Affairs Qadri Abu Bakr emphasized that the leadership, led by [PA] President Mahmoud Abbas, will continue to support the resolve of the prisoners and their families and will not succumb to the Israeli and American pressures calling to stop the Martyrs' (Shahids) and prisoners' salaries (rawatib) and allowances (mukhassasat)." 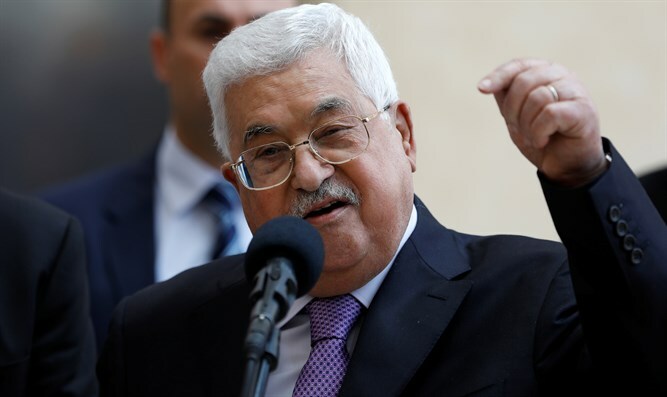 Abbas also stated that the last PA penny would be spent on prisoners before being used for ongoing PA expenses. Abbas can say this because he knows that while foreign donors refuse to pay salaries to Palestinian terrorists many are willing to fund other PA expenses. The United States Senate passed the Taylor Force Act earlier this year, which cuts aid to the PA as long as the PA continues to pay salaries to terrorists. The legislation was. named for U.S. army veteran Taylor Force who was murdered in a stabbing attack in Jaffa. In August, the Trump administration announced that it had decided to cut more than $200 million in bilateral assistance to the PA, following a review of the funding for projects in the Judea, Samaria and Gaza,.